What's unique but questionable in regards to nose revision surgery especially revision nose surgery for functional breathing related issue's, is that it is the only surgery that i know of where you have to pay out of pocket (in full in some cases) in order to improve your health condition even if you are a citizen of a country which offers Universal health care, like that in Canada. For the few that are lucky enough to qualify in getting insurance coverage in Canada, or the U.S.A, they will still be out of pocket for the "cosmetic" component of the surgery which will likely end up being 50% or higher of the total surgical fee. The nasty trick here which the surgeon engages in is that the cartilage/bone grafting replacement surgical time to correct nasal valve collapse (the functional issue) gets billed as 'cosmetic' surgery since it simultaneously changes the aesthetics of the nose. It's nearly impossible to not change the aesthetics of the nose when you add supporting material to it. The surgeons office team understands all this. When you get a price quote after your consultation it's for the amount not covered by insurance/government. If your complaint is strictly functional as in the case of nasal valve collapse the surgeon's office will likely tell you the surgeon doesn't take on cases unless they also have a 'cosmetic' component forcing you to agree to those terms since there's no other way for you in getting the functional surgery which you desperately need; hence the unscrupulous financial shell game trap! In Canada, it's improbable that any portion of nasal valve collapse surgical costs would be covered by the health care system. Same problem for getting coverage for empty nose syndrome corrective surgery. In addition to this most e.n.t. surgeons aren't aware or refuse to recognize empty nose syndrome as a real serious condition and many don't know how to treat, let alone diagnose nasal valve collapse. Now as for Provincial or Federal Government financial assistance coverage don't expect a Plastic Surgeon to even help you apply. I had asked one Plastic Surgeon who is considered the best rhinoplasty surgeons in my city to see if I could get provincial health coverage to help cover nominal amount towards the surgery I need, (since he and no one else in the province could correct the problem with my nose). He ended up giving me the run around. First he told me it wasn't going to be much money and then recommended that I should ask an e.n.t doctor. I think he was afraid his reputation would look bad, to admit to the government that he couldn't do the surgery which meant I would need to seek out a more qualified specialist. He agreed with me I should pursue finding a surgeon out of the country who specializes in revision nose surgery yet was still unwilling to be of any help. He couldn't even recommend a U.S. surgeon. In Canada, If you need to have surgery outside of the country you will not be eligible for any reimbursement, without a surgeon's referral stating that the level of care or procedure you need is not available in Canada. In my case, I already had 2 major revisions, which made my problems worse and one of the surgeons was considered a top nose revision surgeon in all of Canada. So I need a highly skilled nose revision surgeon, like those in the United States, to correct my breathing issue's. This is a terribly unfair situation considering revision nose surgery for nasal valve collapse can cost upwards of $25,000 U.S. by a reputable experienced surgeon. The cost for empty nose syndrome surgery exceeds $10,000. There's also the cost's of travel, hotel stay (you can't travel for 7-10 days after nose surgery) supervision by nurse for a day (if unaccompanied for the surgery), medication and food. If that isn't bad enough, some surgeons don't even offer financial payment plans. In these situations the person who needs the surgery may not be able to afford it. If you had unsuccessful eye surgery or ear surgery, and needed revision surgery because it made your sight or hearing worse, you most likely would be covered fully by the health care system in Canada , even if it was necessary to leave the country to get it done by a more qualified specialist. Unfortunately nose surgery is in a infamous league of its own when it comes to repairing the serious outcome of nasal valve collapse or empty nose syndrome that affects your breathing. 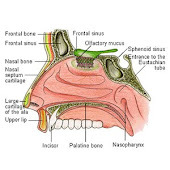 Nose revision surgeons in the case of nasal valve collapse will not go ahead with the surgery unless the patient pay's a fee which falls under the "Cosmetic" category even though the major or full complaint is a "Functional" breathing issue. If you are insured then the nose surgeon additionally bills you for the cosmetic portion which is above and beyond what the insurance company covers for the functional portion. Depending how exorbitant the overall charges are some have ventured to say it's like a double billing system. If you have no insurance whatsoever then you will end up paying the full amount out of your own pocket including the mislabeled 'cosmetic' portion even though you are suffering primarily or exclusively with a functional nasal disorder. If you don't agree, to pay for the 'cosmetic' portion or have what is considered a cosmetic procedure in addition to the functional procedure then you are left out in the cold. Many ent's who aren't familiar with nasal valve collapse don't understand why you need to go out of the country for the surgery. Many don't realize the complexity of the surgery, with regards to proper nose grafting procedures and the expertise and experience that a surgeon needs to perform such complex revision nose surgery's with consistent successful results. Nose revision surgeons in Canada, should also become active in recommending that the health care system cover a larger amount then the minuscule amount being offered now towards the revision surgical costs. An amount that is at least PROPORTIONAL to the SURGICAL TIME needed to correct the FUNCTION of the nose. We pay into the system through our taxes. We should expect equal and fair compensation like other surgery's would receive, especially when considering the fact that a nose surgeon within our own country was responsible for these breathing problems in the first place. There are also no set rules in how facial plastic surgeons (in general) divide up the fee's between the cosmetic and functional components. The nose revision surgeon arbitrarily decides what that breakdown will be. The portion the Government or Insurance company's covers (if you had prior nose surgery it may be very difficult to get any Insurance coverage) is the functional portion claimed and the usually much larger balance not covered is the cosmetic component. If you don't have insurance or not able to qualify for it, and have the surgery in Canada as a citizen, the provincial health care portion claimed by the surgeon is considered the functional component which is negligible. So how small an amount is this provincial government portion that is claimed for the functional surgery of the operation? Well very very small. There are different codes that are used by the surgeons when they make these claims, so it can be confusing to exactly what amount goes to the operation and what amount goes towards each consultation. With that in mind from my surgery in 2001 performed by a Plastic Surgeon the amount claimed for the operation was $508.40. From my surgery performed in 2005 by an E.N.T/Facial Plastic surgeon the amount claimed was $307.75. How much was I charged for the two surgery's? The Plastic Surgeon in 2001 charged me around $5500 for a 3-4 hour revision surgery. The E.N.T./FPS in 2005 charged me $7700 for a one and half hour revision surgery. So in other words the Functional component claimed in 2001 worked out to less then 10% of the total charges, and the Functional component claimed in 2005 worked out to less then 5% of the total charges. Note: My two only major complaints with each of those surgery's was 1) My problem with breathing due to collapsing of the nasal valve (a result of primary surgery) and 2) The projection and angle of my nose tip (also a result of primary surgery). If the nose revision surgeons really care at all about these victims they would be addressing these issues with the health care system. Isn't being able to breath through your nose an important function??? The real irony is that nasal valve collapse is a condition that is primarily caused by poor primary nose surgery (iatrogenic). Empty nose syndrome which is more rare, is a result from over aggressive removal of the inferior turbinates and/or middle turbinates (also iatrogenic). Many nose patients are unaware of these serious potential side effect before the surgery, and when it occurs, more often then not, the nose surgeon can't or will not correct the problem. The patient is now, not only out of pocket from the first surgery but has to pay out of pocket for the revision. Worse, like in my case, when you don't have a successful secondary surgery you are further out of pocket and the more nose surgery's you have, the higher the price a Nose Revision Specialist will charge you for another corrective procedure. There's no question greed and/or apathy has set in with some of the nose revision surgeons. They need to prove they care not just about getting paid but also about their patients financial situation. The health coverage should cover the full true functional costs of nasal grafting revision surgery. These specialists should become philanthropic by becoming more vocal and active with helping their patients get appropriate amount of personal insurance or provincial health coverage, not charge exorbitant fee's or play this financial shell game and offer a reasonable monthly payment plan. Its really in their best interest as well as the interest for their potential patients. It's a serious problem, that won't make front page news and therefore not likely much if anything will be done to address these unjust situations. The nose sufferer not only is a victim of his/her previous mishap surgery but also victim of this financial shell game practiced by revision rhinoplasty surgeons which discriminates against the poor and has been let down by our universal health care system. Some may end up having to take out a loan or second mortgage on their home or find someone that will borrow them the money. Some may even have to sell a valuable possession of theirs (i.e. Jewelry) to come up with the money. For the nose victims who just can't come up with the money for the surgery, they will have to become more proactive with trying to get government officials understand these pressing & unfair issues, & in mean time find alternatives to rely on such as; nose sprays, decongestant pills nose splints or possibly a cheaper priced minor surgical procedure that may give some relief temporarily, until they can afford the appropriate surgery. And in the mean time the surgeons fee's, as well as hospital and clinic fee's will all continue to escalate.